"Me, My Buddy, My Pal"
"It is an undeniable reality that Buddy and I are inseparable. It would be foolish to assume that my love for him is quantified and may be best described as a 'qualified' unconditional love. A love far greater than any one human can imagine (including myself) to be unselfishly capable of considering to give unconditionally to another human. Our bond is not unlike that of most pet owners, but it is unique to us. I often refer to our homebound bond as: "a greater loneness of two!" The quality of his love for me, and mine for him, is best understood in social settings where he and I spend time with others. In such cases our "loneness of two"... becomes one. Buddy like all dogs we adopt, had a birth mother. It stands to reason that he must miss that paternal birth moment bond. At one time in our life together, Buddy had one he thought of as a mother, I sense intuitively he misses her. I also know he misses my mother (his grandma) as much as I do. I am certain his canine genes desire those paternal bonds at all times, as we do. It is part the symbiosis he and I share which allows me to understand where voids exist in his life, I know I can not fill. Some day soon, I seek to give my pal, a back yard and a true mother/friend, one with whom together, we can create a new found life in a new home. Everyone is invited when it happens. 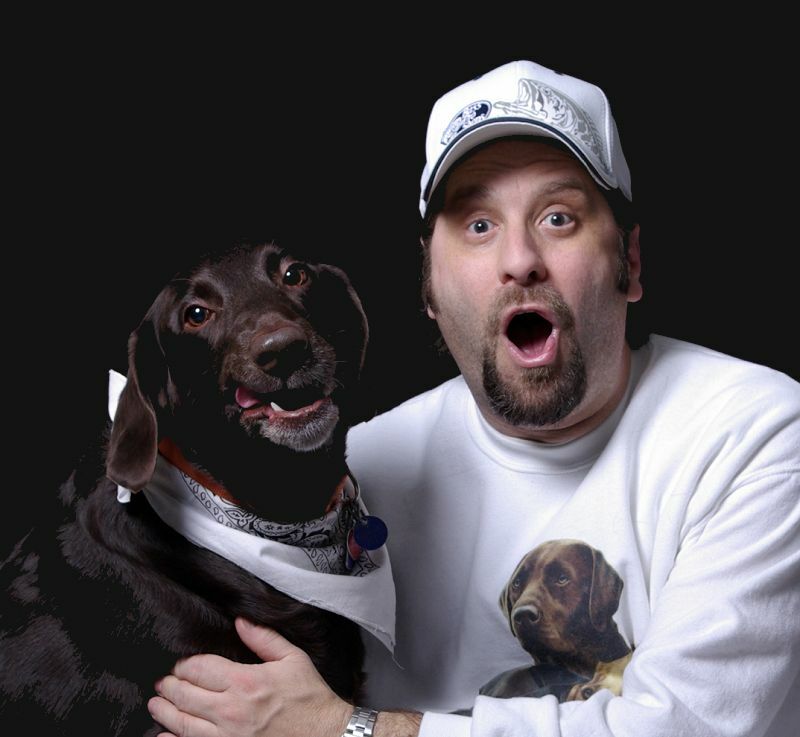 Me, my Buddy, my pal, and whom ever fills our void will get the best damn team of love one could ever expect from two living beings to share...bar none! his quantum love in all I do. He remains a partner of my sole existence. 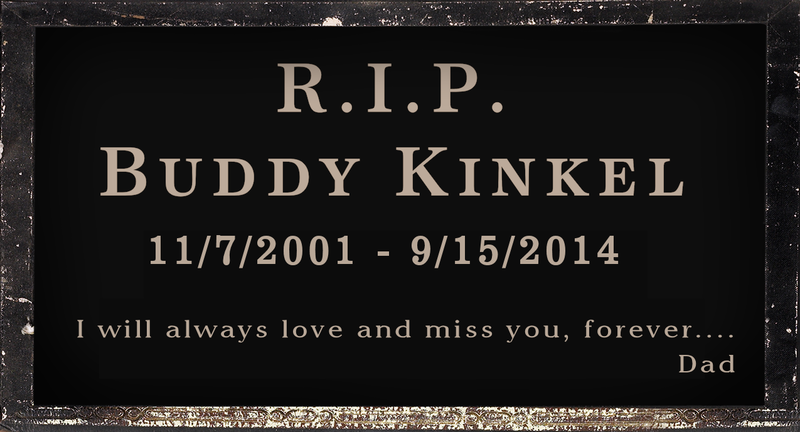 A very sad day, as my beloved pal and old boy pup, Buddy Kinkel passed on. 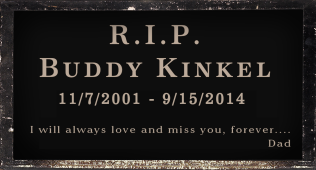 Please keep him in your hearts and memories...E.K.